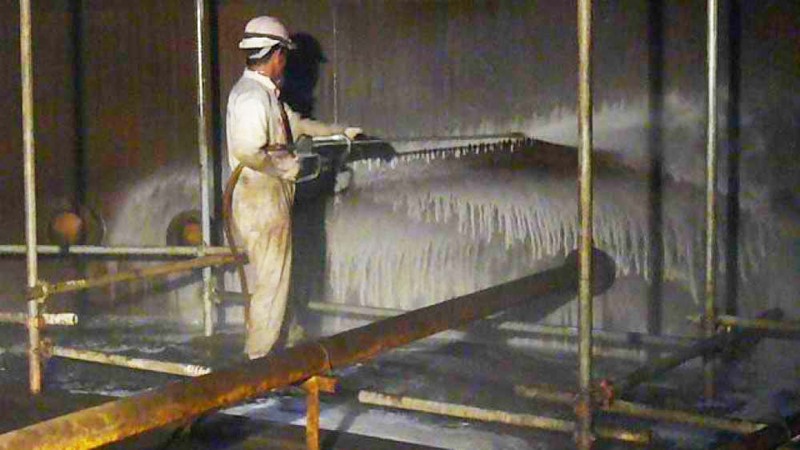 Eco-logix AQ2000 SuperTankClean is specially formulated for confined space cleaning of hydrocarbon contamination. This range is suitable hydrocarbon cleaning, degreasing and surface preparation works on storage tanks, separator pits, drainage pipes and wells.It has non-ionic surfactant compositions and nutrients to accelerate bio-degradation of hydrocarbon, and the strong feature is that it has no flash point and suppresses ignition and gas. Eco- SuperTankClean does not require pre-soaking or pre-washing, it can be used directly or with 1:5 up to 1:10 dilution rate. It can be diluted with sea-water or portable water, thus saving time and increase productivity. It is the perfect product for confined space cleaning. 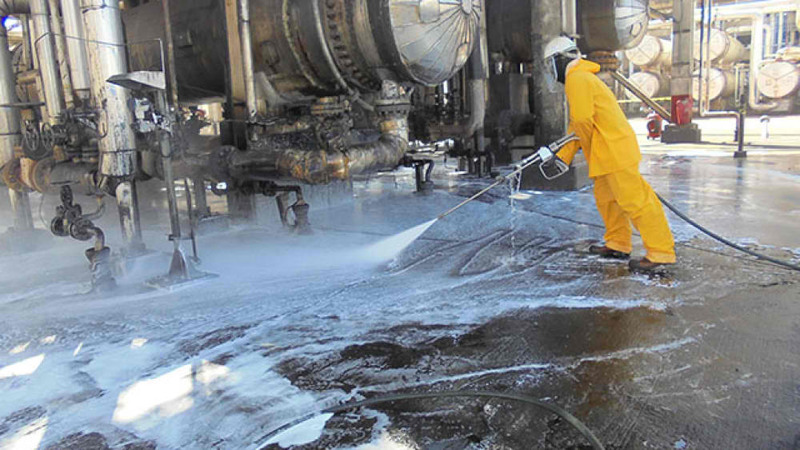 Eco-logix AQ2000 Eco-SuperSpillClean is specially formulated for shoreline, beach, land, sea spills and soil treatment of hydrocarbon contamination cleaning. Eco-logix AQ2000 Eco-SuperSpillClean is specially formulated for shoreline, beach, land, sea spills and soil treatment of hydrocarbon contamination cleaning. It has non-ionic surfactant compositions and nutrients to accelerate bio-degradation of hydrocarbon, and has no flash point. Eco-SuperSpillClean does not require pre-soaking or pre-washing, it can be used directly or with 1:5 up to 1:10 dilution rate. It can be diluted with sea-water or portable water, thus saving time and increase productivity. It is the safest product for shoreline, land, sea, low level depth spills, soil washing, and soil remediation use. 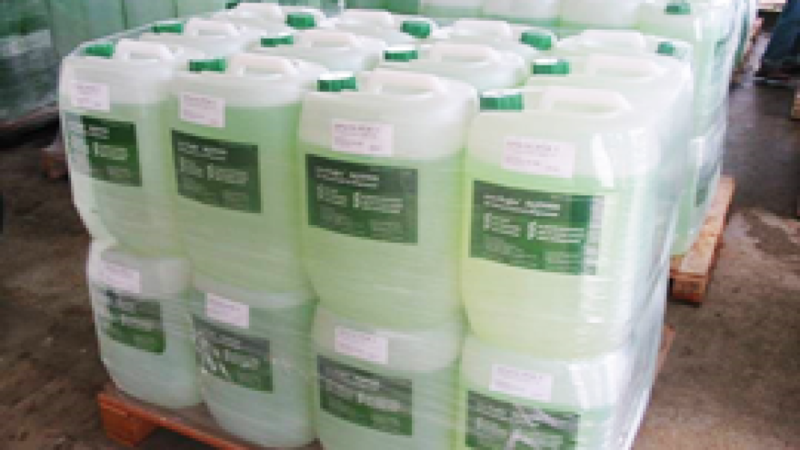 Eco-logix AQ2000 Eco-SuperGreaseOut is a food grade product that is specially formulated for food industry. It is highly suitable for cleaning of hoppers, tanks, drainage system, food preparation equipment, grease traps & spills. 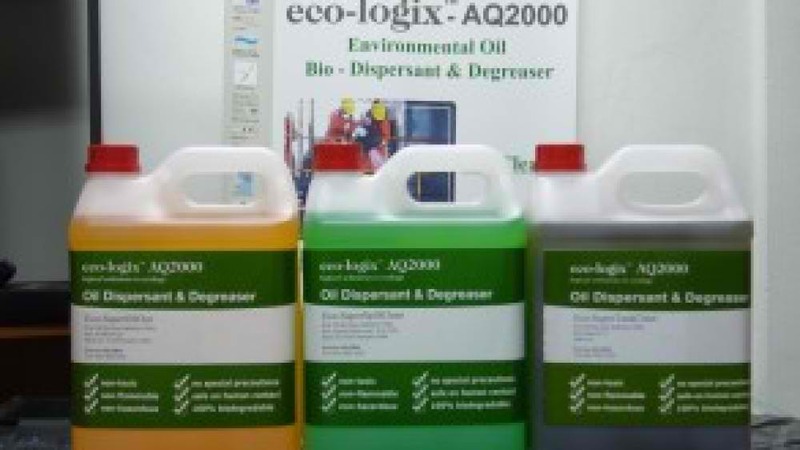 Eco-logix AQ2000 Eco-SuperGreaseOut is a food grade product that is specially formulated for food industry. It is highly suitable for cleaning of hoppers, tanks, drainage system, food preparation equipment, grease traps & spills. It has non-ionic surfactant compositions and nutrients to accelerate bio-degradation of hydrocarbon, and has no flash point. Eco- SuperGreaseOut does not require pre-soaking or pre-washing, it can be used directly or with 1:5 up to 1:10 dilution rate. It can be diluted with portable water, thus saving time, ease of discharge, high recycling rate and increase productivity. 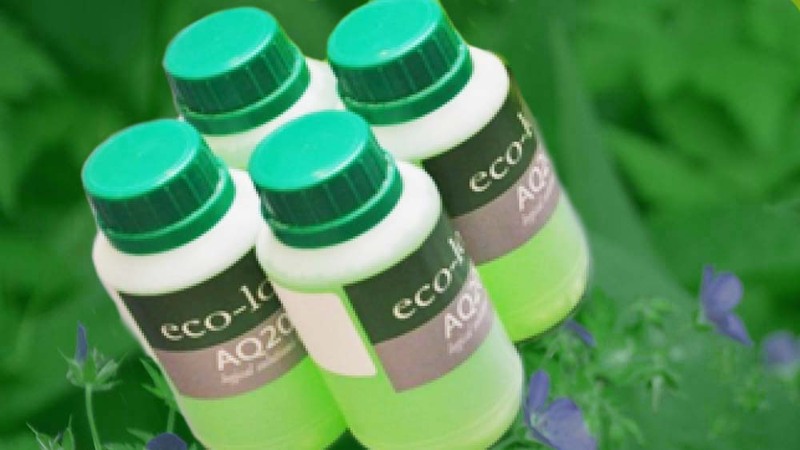 Eco-logix AQ2000 Eco-SuperOilOut is specially formulated for maintenance degreasing of components, equipment, parts and ultra-sonic hydrocarbon cleaning. Eco-logix AQ2000 Eco-SuperOilOut is specially formulated for maintenance degreasing of components, equipment, parts and ultra-sonic hydrocarbon cleaning. It has non-ionic surfactant compositions and nutrients to accelerate bio-degradation of hydrocarbon, and has no flash point. Eco- SuperOilOut does not require pre-soaking or pre-washing, it can be used directly or with 1:5 up to 1:10 dilution rate. It can be diluted with sea-water or portable water, thus saving time, ease of discharge, high recycling rates and increase productivity. eco+plus - “the effective solution” is the latest inclusion of environment cleaning solutions for oil spills from Eco-logix. It’s an oil spill kit specially packed and designed for industrial, land and sea spills occurred in daily operations. These specially packed spill kits cater to varied spill sizes and we have carefully included essential items for such clean ups. eco+plus - “the effective solution” is the latest inclusion of environment cleaning solutions for oil spills from Eco-logix. It’s an oil spill kit specially packed and designed for industrial, land and sea spills occurred in daily operations. These specially packed spill kits cater to varied spill sizes and we have carefully included essential items for such clean ups. 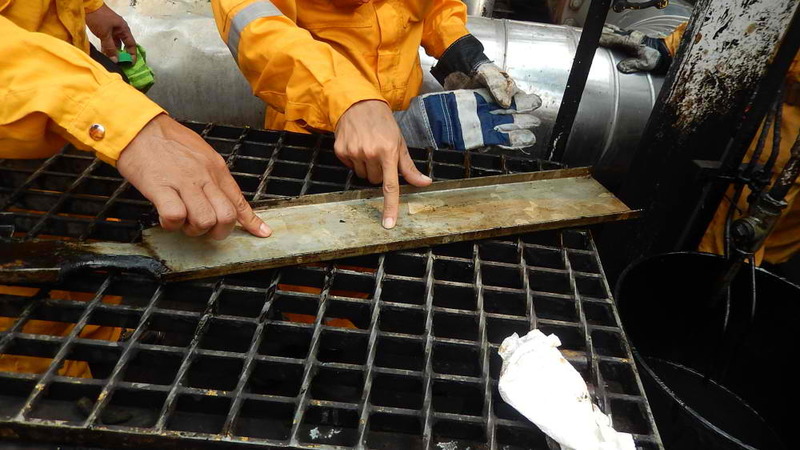 eco+plus “rentAkit” program specially caters to such needs of an oil spill situation for the various industries. Instead of buying such kits and have no technical support, consultancy and training, we at eco-logix rent you the appropriate number of spill kits suited for your production facility size and provide the necessary professional training, consultancy & technical assistance when required. Eco-logix AQ2000 Eco-SuperRigClean is specially formulated for rig cleaning and maintenance on land sea rigs, ship decks, bilges and engine rooms. It has non-ionic surfactant compositions and nutrients to accelerate bio-degradation of hydrocarbon, and has no flash point. Eco-SuperRigClean does not require pre-soaking or pre-washing, it can be used directly or with 1:5 up to 1:10 dilution rate. It can be diluted with sea-water or portable water, thus saving time and increase productivity. It is the most suitable product for rigs and ship use.